Sorry Guys, the Arts aren’t Going to Die Out After All. At the recent (official) launch of this blog and the the Tuxedo Revolt website, I also shared a gift with my email subscribers. I wrote a free download e-guide called The Tuxedo Revolt Declaration of Arts Independence (click on the link to check it out!). With this guide, I wanted to more than to send a message of hope about the state of the arts and our careers as performing artists. I intend to empower my readers, and challenge all of us in the arts to rev our engines and power charge our creative lives. You may already have strong convictions about performing. But surprisingly, many performers don’t. A love of the arts and of your particular art form should not be confused with convictions. Take a second to outline on paper what your convictions and values about the arts really are. What do you want most from your career as a performing artists. What are the tenets of your system of beliefs? I used the Declaration as a vehicle to outline what Tuxedo Revolt believes in. Once you identify your values, you are ready to take meaningful actions that will not only advance your career, but make a meaningful contribution to the arts world. While I don’t stand on a soap box in Times Square ranting about how the arts are enslaved, I do believe that the performing arts, especially that of orchestras and music, have become too heavily reliant on outmoded institutions and their administrations. If survival depends on evolution, and evolution depends on successful adaptation, then organizations like opera companies, dance companies, and orchestras can only survive by adapting to the demands of the present. Remaining under the control of outdated and irrelevant institutions will stifle the changes necessary to survive. In no way am I advocating that the performing arts don’t need administrators and organized entities to manage them. What I do suggest however, is a massive reorganization of performing arts administrations. When we shed our preconceived notions about what an arts institution should look like, then we are able to see possibilities of organizations behaving like a co-op and not a top-down hierarchy. The first thing you can do is to draw a line in the sand between you and the rest of the world who refuses to adapt to the changes in the arts world. Immediately you’ll separate yourself from an old body of ideas and you will step into a place where you have freedom to make new choices without the approval of someone else. Take stock of your values and convictions. Find out what about performing is truly important to you, then build your performances around this. 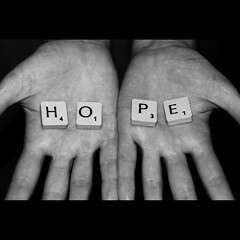 Lastly, don’t give up hope. Don’t listen to doomsday prophecies about the future of the arts. Those negative viewpoint spell out the end of days for those who aren’t willing to be innovative and adaptive. As a creative person, you DO have the natural ability to adapt your art and your craft to meet the demands of today. You must only give yourself permission. Download this advertisement free version of the Tuxedo Revolt Declaration of Arts Independence and as always, feel free to contact me with your thoughts and comments. Imagine a World Where Artists Lead the Performing Arts. This week is a special week for Tuxedo Revolt. I spent all summer getting the new website renovated and ready for launch, and I’ve also been writing like a fiend. But all my work so far is leading up to the public and official launch of http://www.tuxedorevolt.org and this blog (If you’ve been following me all along, I’m grateful. It’s been on the DL thus far). But as you might have guessed, I’m not just going to announce the new projects without giving my faithful readers a freebie. On Saturday, I will release my “Declaration of Independent Arts” in a 100% advertisement free .pdf format. This is a project that has been burning in my mind for a while and I’m happy to finally be able to share it with you. I want you to imagine a world where individual performing artists, musicians, actors and dancers are empowered to make the decisions about where the future of the arts will go. Decisions will not be made in a vacuum, or behind closed office doors. They will not be made solely by bureaucracies and administrators. Imagine a world where creativity is authentic and spontaneous, where ideas are born by the performers in the creative space. Imagine a culture in the performing arts where audience are treated like partners, and are respected as such. This is what the Tuxedo Revolt hopes to bring to life. We are at the brink of a second Renaissance or Enlightenment, and I see great potential for the performing arts in the future. I refuse to believe that the arts are doomed. If you feel stifled in your performance, if you are having difficulty finding authenticity in what you do, or if you are out of ideas– just breathe, help is on the way. What we need now, more than ever in the arts community is fresh perspective and new models that embrace relevance, communication and expression. The models I will propose, put decision making back in the hand of the magical performers and creatives that make performing arts possible. Over the course of this year, through both the blog and the Tuxedo Revolt website, we will explore these ideas together. Don’t give in to the doomsday prophecies that surround the arts today. We can beat it. There is a way to revive your craft, your art both at the personal and global levels. There are effective ways to build audiences that both feel good and natural to the performers, and that your audience welcomes as well. The quickly changing landscape surrounding the arts reveals just as many opportunities as challenges if we only look to find them.
. If you feel the need for change and you grow restless with what the current culture expects from us. Then join me and all of us who want to see change. The time for a new era in performance is here. Keep your eyes and ears open for the Declaration. I’ll be posting soon on how you can get your free download of the .pdf. All I ask is that you help me to spread the word. 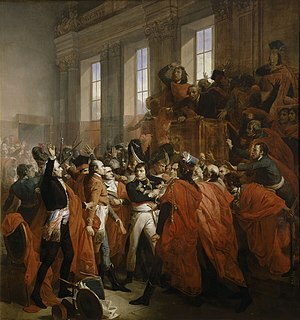 The cries of liberty, equality, and fraternity were the pillars of the 1789 French Revolution. Those words became the litmus test for the social, political, economic and religious reforms that changed France forever. Performing arts around the world face similar circumstances and the Tuxedo Revolt wants to lead the charge for a revolution in the arts world with a new motto: Liberty, Equality, and Creativity. In the rapid changes brought forth by the millennium 12 years ago, the world is seeing transformation across the board in politics, economics, environment, and social structure. Technological advancements like the iPhone and Facebook have completely altered the way humans communicate and relate to one another. The arts are in no way insulated from these changes, in fact, they are impacted more directly than any other one area of the humanities. Throughout recorded history, we have relied on man’s artistic achievements to capture the spirit of the times. It is a culture’s art, song, dance, and creative legacy that tell us how it felt to be alive and a part of a particular culture in a certain time. You probably already know this. In fact you already participate in the performing arts. It doesn’t matter whether you are creating art to be performed, performing art yourself, buying song’s on iTunes of someone else performing, listening to the radio in your car, watching TV, buying movie tickets— the choices you make that relate to creativity and performance are helping to shape the way that the future will view our time now. Everyone is part of the process, some consciously and some unconsciously. My mission with Tuxedo Revolt includes empowering anyone who is involved in performing with resources to enrich their work and help them to reach the widest audience possible and with the maximum amount of relevancy. Just like in France in 1789, when the feudal system had become dysfunctional and irrelevant, so too are many of the norms and standards surrounding the performing arts that restrain and confine us to perform at the status quo. In the culture we live today, we have unprecedented liberties when it comes to distributing our art. Through outlets like, YouTube, vimeo, personal websites and other electronic resources, we can truly perform for the world. As performing artists, we cannot afford to neglect the opportunities these resources have to offer. We are no longer confined within a geographic area to build our audiences or to wait for institutions and “experts” to give us the green light to go. With hard work and strategic planning, we can expand our reach across oceans and continents. The fluctuating economy, the rise of the middle class, and the flood of electronic media resources since the millennium have (almost) completely leveled the playing field for performers of all types. This, in many ways, is a double-edged sword—for every coin has two sides. But for better or worse, there is an unprecedented equality when it comes to the market for your performance. The Internet not only leveled the playing field, but also greatly enlarged it as well. The days of a few major record companies and large performing arts organizations completely dictating the market are over. Let me be clear, “market” in this context is about the “market” for the commodity of audience. There is simply more content out there for people to choose from, making everyone from the freelance performer all the way up to the largest organizations work harder to get your attention—and hold it. The “holding” holding of your attention is a key component of Tuxedo Revolt and it involves creativity and imagination. This is single largest platform for building a revolution in the performing arts. Humankind has always been creative. That is part of the human nature. But the exquisite ability to express our inner nature and relate to others is a gift waiting to be used and unlocked. The millennium brought with it a need for self-expression unlike anything we have every seen in human history. Everyone is telling their story on Facebook, Twitter, MySpace, Pinterest etc. There has never been more material available for performing artists to draw upon and to be inspired by. There are new pathways to create highly original work and to authentic living. This goes beyond performing artists and extends to everyone, globally. Music, Art, Dance and Culture, can harness the emotional power prevalent in today’s global societies and turn it into deeply moving performances. By doing this, we can create and/or recreate works of art that are relevant to the modern audience. The possibilities are endless, but the Tuxedo Revolt Blog will attempt to chronicle them. Thanks for stopping by the Tuxedo Revolt website and blog. For those of you who have been following me and the previous models of this site/blog I should start by thanking you for your loyalty. My online home has undergone plenty of revisions since the initial domain name several years ago. Over the course of the past several years, I experienced a personal and professional metamorphosis that transformed who I am as musician and artist. It reshaped and enriched my thoughts and convictions about performing. e Director of Education of a professional orchestra in NYC; taught music lessons to underprivileged children in inner city Harlem; and I also work in higher education in the music library of The New School University in Manhattan. All of these things have shaped my perceptions of the performing arts climate worldwide and how we all fit into it. If you have been following me over the years, you will realize that my online presence has shifted from being centered solely around just one of my life’s passions—playing the horn and classical music—to changing the way that people perceive classical music so that it becomes relevant to their everyday life. Sounds like a lofty-artsy-fartsy goal right? politics, economy and culture(s). The performing arts are in no way insulated against them. How do we as artists adapt? How do we evolve? How do we craft performances to which everyone can relate? How do we connect with our audiences and invite them into our creative process? How do we connect children and young adults to classical music in a way that real and meaningful to them? a stage in a black and white tuxedo and giving a performance that is both irrelevant and isolated are numbered– no matter how technically perfect the performance is. ginations and examining the culture and identity of performing arts around the world we (the collective of performers worldwide) can respond appropriately and adapt to this changing landscape. So as you can see, this blog and website has become about us as whole and not so much about me as an individual. Yet, I hope to lead by example—by presenting exciting, original, and innovative performances and I will document my projects on the blog. I will seek out and profile other performers who are doing highly original work and who are helping breakdown old models in favor of newer innovative ones. There is wealth of new discovery waiting to be explored in the world of performing arts. I want your input as well. If you have a creative idea for innovative performance, please reach out to me on the contact page; I may feature your idea on the site. Thanks again for stopping by—I hope you’ll join in the conversation.